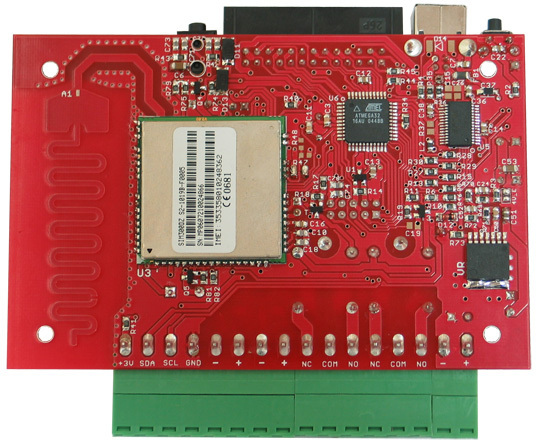 AVR-GSM is an excellent board for adding a remote monitoring and control to remote places by a GSM cellular network. Do you want to switch on/off your local heating in your mountain house? 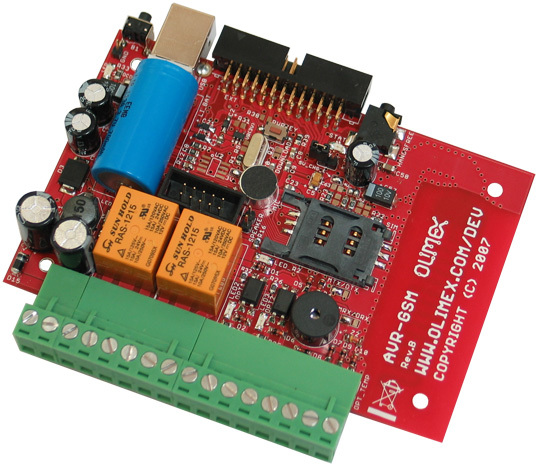 To monitor the temperature at up to 8 remote points and up to 30 meters away from the module? To listen to what happens in your house with silent call after you get a message for an alarm status? Then the AVR-GSM is the board for you! 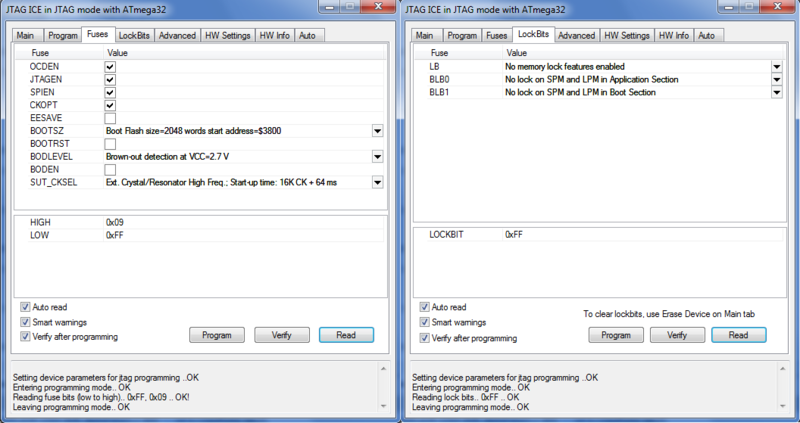 It contains an ATmega32 microcontroller and a 3-band GSM GPRS module 900/1800/1900Mhz inside which covers the most used GSM networks around the world. The GSM antenna is build in the board so there is no need for any external expensive GSM antennas. 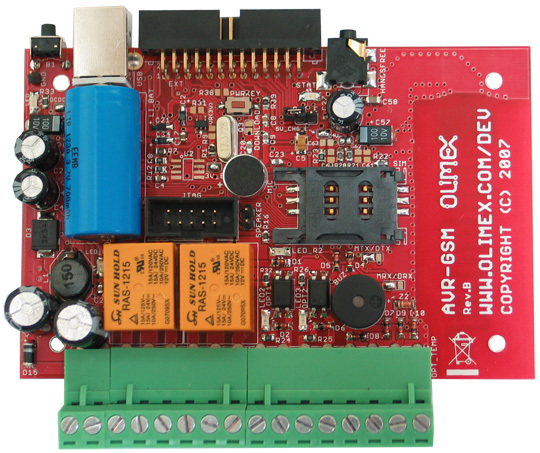 AVR-GSM has two relays 240VAC/10A, two optoisolated inputs which could be connected to alarm sensors or just buttons for user actions (like call pre-loaded phone numbers), an on-board temperature sensor and a connector for additional up to 8 addressable remote temperature sensors at up to 30 meter distance from the module. 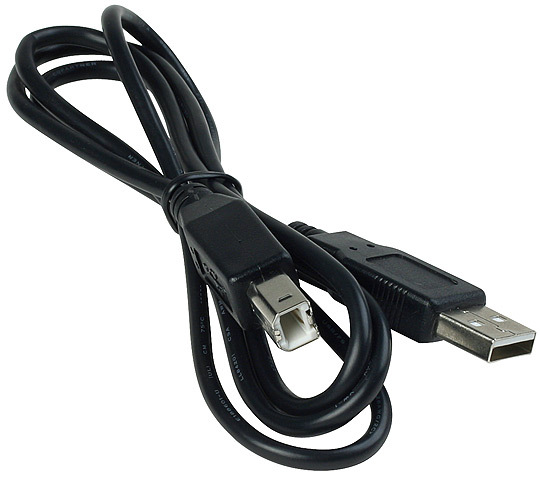 A normal phone hook can be connected to this board to allow the user to speak, listen, take and place phone calls as a normal stand alone cellular phone. The AVR-GSM can be connected to a PC with its USB connector and it is recognized as modem which could be used to provide internet via GPRS to your computer (imagine how useful is this for your mountain house if there is no internet but only a cellular network! ).